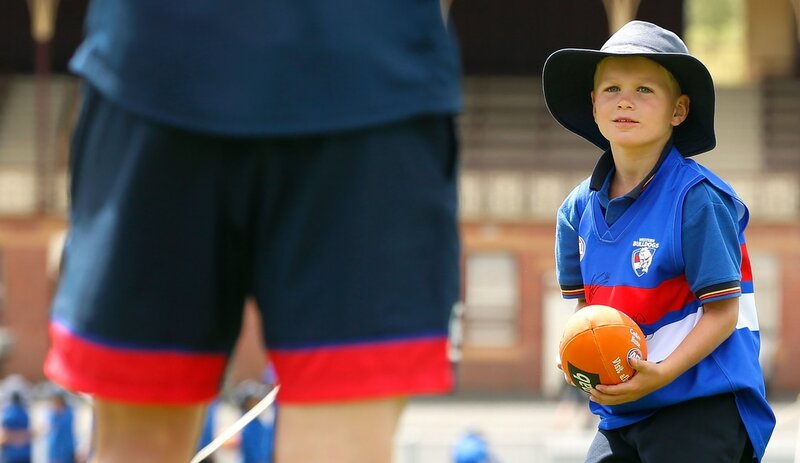 Students and their Parents/Carers will receive free tickets to a Western Bulldogs football game. Schools will be notified of details. Players will deliver a session to students via Skype, engaging the Bulldogs Read program participant in a reading activity. Further information about this session will be made available shortly once session timing is confirmed. ABOVE: Western Bulldogs players Will Minson and Lin Jong participate in a Skype session with Bulldogs Read Program participants. The Library Session will include an introduction to the library, including the services available. The session will be delivered by City of Ballarat Children’s and Youth Librarian Julie Bull. Using the library online including the catalogue, databases, eAudio and eBooks; and book reviews. writing tips to program participants.